Another week, another race! It’s time to head to Loudon, New Hampshire for the Lakes Region 200 XFINITY Series race. But first, take the time to enjoy these four other cities on the way. There are countless restaurants to try, hotels to stay in, and attractions to visit. 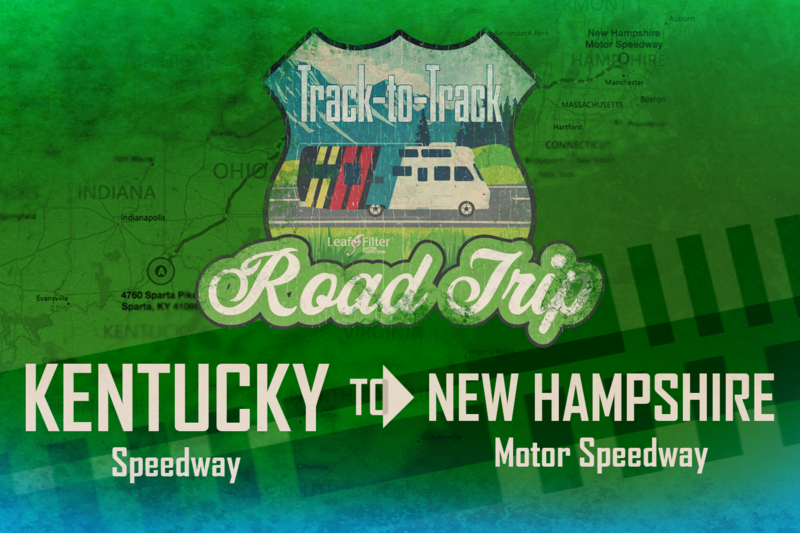 But this is the ultimate NASCAR summer road trip, after all, so follow this itinerary for the best possible experience! Columbus, OH – Opportunities for adventure abound in Columbus, OH. You could try anything from an open-air safari tour at The Wilds, to chowing down on Schmidt’s authentic bratwurst and spaetzle in German Village. The North Market is a local favorite. Here you’ll find over 30 vendors offering some of the best foods, produce, and other cool creations in all of Columbus. The Scioto Mile, with its urban greenspace, is another great spot to hang out in Columbus. For a peaceful night’s rest, check into the Timbrook Guest House, which features upscale amenities, and even a tropical greenhouse! Hershey, PA – Time to get your chocolate fix in Hershey, PA – home to the world’s best chocolate! This charming little town is completely decked out in Hershey-everything – even the air smells like chocolate! Before you start pumping chocolate straight into your veins, get your adrenaline pumping at Hersheypark. The amusement park has more than just awesome rollercoasters. You’ll also find live shows, water rides, tasty treats, and even a full zoo! Continue the Hershey-mania at Hershey’s Chocolate World. Here, you’ll get an inside look at how the chocolate company makes it’s confections, and you’ll even have the chance to design your own candy bar to take home as a souvenir! Finally, get some reprieve at Hotel Hershey, one of the sweetest hotels around! New York City, NY – For such a small footprint on the map, the Big Apple truly has it all! You should, of course, visit all the big landmarks during your time in New York (think the Statue of Liberty, Ellis Island itself, Times Square, the Empire State Building, and Rockefeller Center), but don’t miss out on all the hip little spots that are easily overlooked! Check into the High Line Hotel and get your bearings before venturing into the big city. Then, walk on over to The High Line itself – a park where urban development and wild nature collide. If you’re a book lover, take a while to peruse the legendary Strand Bookstore. Finally, swing by the Bronx Little Italy, locally known as “the real Little Italy.” Here you’ll find authentic Italian dishes and goods, and, even better, you’ll be right by the New York Botanical Gardens. Before you head back to your hotel room, have a night on the town like a local and go to Lois Wine Bar where all the wines are on tap. Don’t forget to set your alarm so you can hit the road again bright and early! Hartford, CT – This area is brimming with historical sites, so if you’re a history buff, this one’s for you. The Mark Twain House & Museum is a beautiful piece of architecture in and of itself, but it’s also filled with fascinating artifacts that are lasting tributes to the American author’s life. The Harriet Beecher Stowe Center is another wonderful museum you should check out in your travels. Hartford is also known for its incredible food scene, so sample all the foods you can during your visit! We suggest making the rounds to Bear’s BBQ – a place that takes real pride in the low and slow method of smoking meats to perfection – and Firebox – a restaurant with a commitment to keeping things local. Get a good night’s rest before the race at the Goodwin Hotel, a historic boutique hotel that’s the embodiment of sophistication. Last Stop: Loudon, NH – Have a day or two to explore Loudon, NH and the surrounding area? This area has a million things to see and do, so we recommend it! Check out our Top 9 Hot Spots around New Hampshire Speedway to find the best restaurants and attractions to check out before the big race. On race day, be sure to stop by the LeafFilter booth and say hi to our team members! Oh, and wear all your Blake Koch gear to rep your favorite driver!